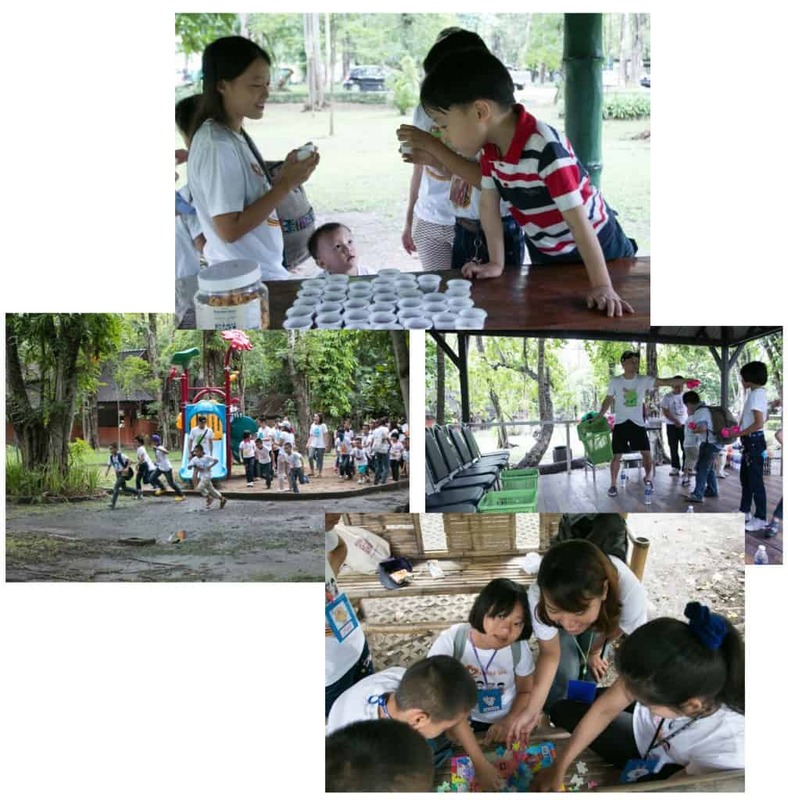 This year, we organized an event called “Paying it Forward to Children in Need”. Besides having a fun day with the kids from Bandekdee, the event also aimed to raise funds for the orphanage to extend existing shelter to help increase capacity, assist in education fees and help with the purchase of school uniforms and stationery. The plan was to visit the Bo Sang Handicraft Centre in the morning and then head to the Sankamphaeng Hot Springs at noon. 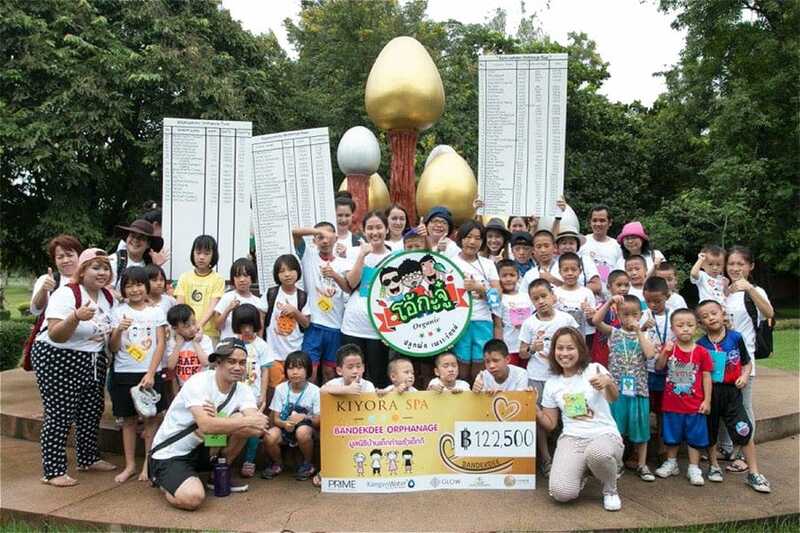 The day began very early with Kiyora Spa staff journeying from the centre of Chiang Mai to pick up the youngsters from the orphanage, located in the San Sai Luang Sub-District, about 20 km from Chiang Mai City. We arrived and found the kids brimming with excitement! The staff was equally eager in having a great time, having prepared some welcoming snacks and name tags for Bandekdee and Kiyora participants. Our first stop was Bo Sang Handicraft Centre. The kids were very excited to display their creativity. Some of them were clearly budding artists, expressing their creativity with impressive artwork that surprised all, including the centre’s staff! 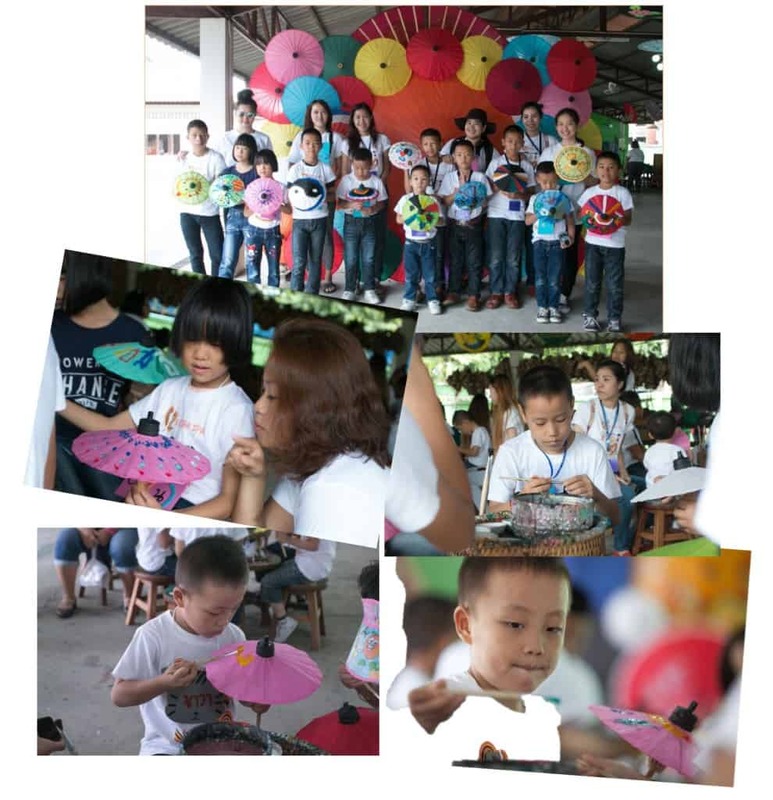 The centre also demonstrated how mulberry paper umbrellas, bo sang umbrellas, were traditionally made. They even had some stations where visitors can try and participate in the various stages of umbrella preparation. After the umbrella related activities, we enjoyed some delicious custard bread courtesy of Deang Bakery. The snack went well with some late morning ice cream, which individual Kiyora Spa staff purchased for the kids who wanted some. We then continued our trip to Sankamphaeng Hot Springs. First up was the Amazing Race group activity. Staff and children were grouped evenly to tackle games and obstacles. Due to inclement weather, some of the planned games had to be cancelled. However, we were still able to play slightly varied games involving ball throwing, puzzles and hide and seek. Although a friendly race, you could feel the competitive juices building up with the staff and kids as the race progressed. 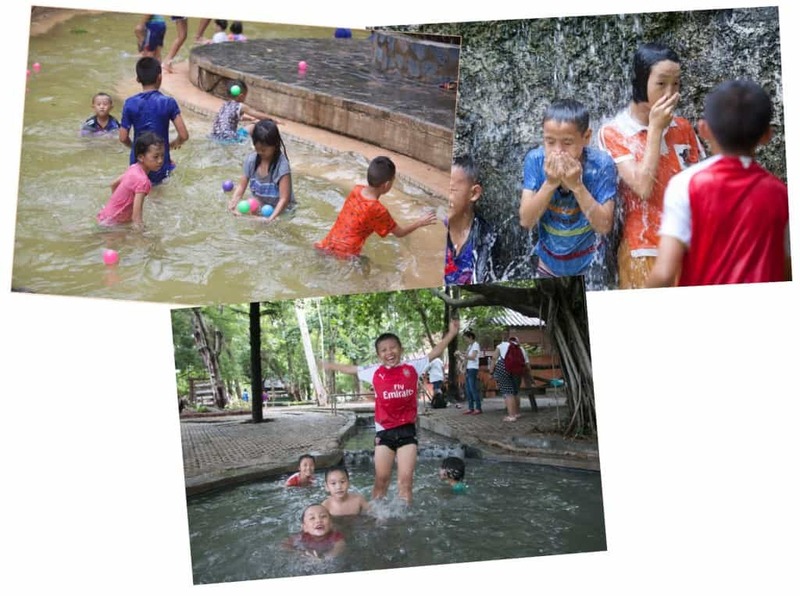 Once the winners were announced and rewarded, the kids continued to enjoy themselves by dipping and splashing around in the multiple hot springs. All this was happening under a slight drizzle and muddy fields, which seemed to make it even more enjoyable. Everyone was so caught up in the fun that lunch was almost forgotten! We were all amazed with how energetic the children were. 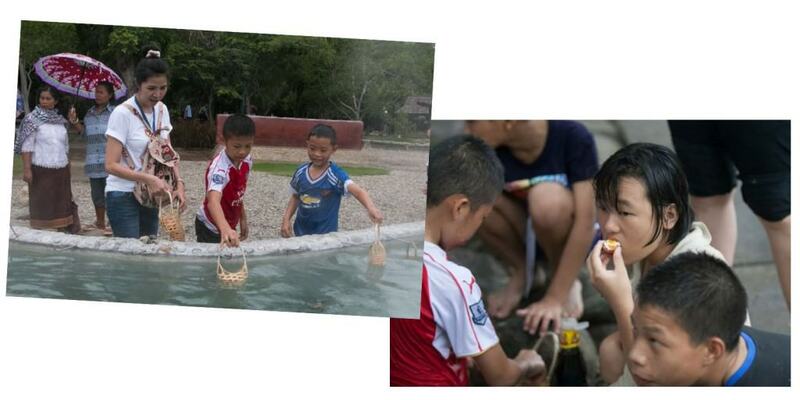 After lunch, it was time for the kids to Boil Eggs by the hot springs. This was probably the most anticipated part of the day. 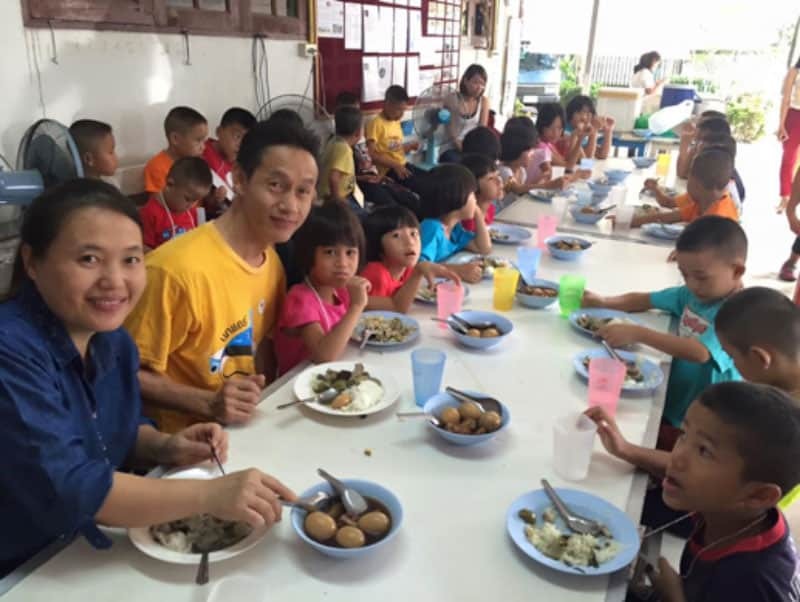 Deang Bakery had donated 150 eggs just for this activity. Surprisingly, the eggs were consumed within 30 minutes! The staff had to purchase more eggs to ensure none had missed out. Being able to boil your own eggs, eating until your heart’s content and then splashing around in the hot springs seemed to bring the kids real joy. The boiling of eggs was a great way to end the day. Getting away from the orphanage was time well spent, even though it was only for one, single day. We were all grateful to see the beautiful smiles and to hear their laughs during various activities throughout the day. It meant the world to us to be able to share our blessings and be part of the joyous occasion. – $AUD 5,061 donated by 20 August, $AUD 5,371 donated in total as of October 2016. – 111 donations (online & offline) from Thailand, Australia, USA, Czech Republic, Poland, Albania, Malaysia, Vietnam and the Philippines. 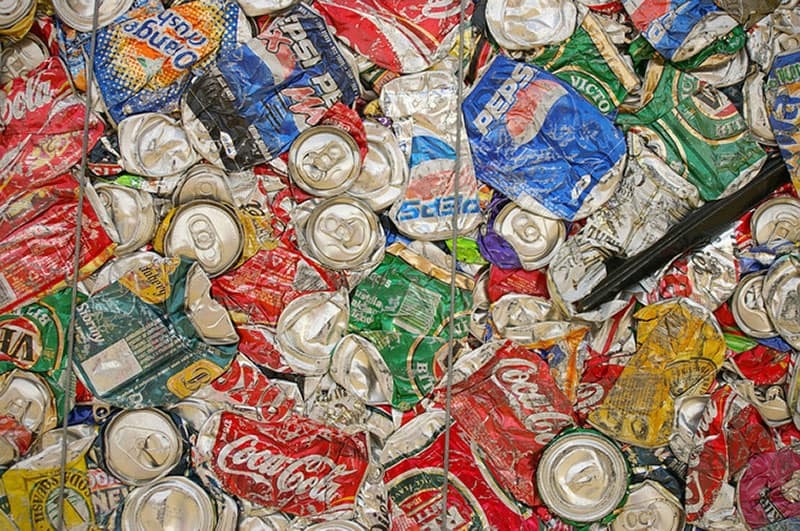 – $AUD 751 spent on some of the day’s expenses. Kiyora Spa covered the rest of the expenses. We’d like to express our gratitude to those who donated and also to those who shared the campaign to their family and friends. It was a tremendous team effort with donations coming in from all over the world. This is the third event in as many years. If you would like to donate to the fourth event, scheduled in mid-2017, you can do so here.